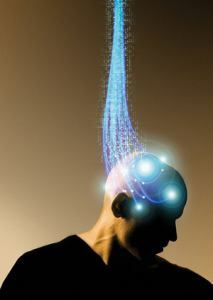 What is this mind soul connection and how does the mind connect to the soul or is it the other way around. We have spoken on the soul spirit connection and its importance to each other, where we have found that the Soul is the stimulus of all that is happening for our existence. The soul is the medium. The soul is the medium that creates the ability to connect to both realms. These are the spiritual and the physical realms. There are other realms or levels but for this article, we will only discuss the two. (More on the other levels will be discussed at another time). The soul connects the spiritual with the physical. 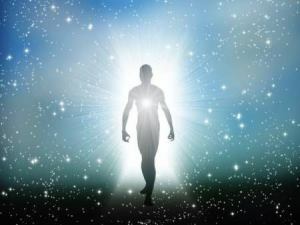 A major portion of the soul remains in the higher vibratory frequency outside of the physical realm. 1. It allows greater communication with the spirit at the higher level of vibratory frequencies. 2. The soul like the spirit is not affected by the emotions, characteristics and other levels that may influence its way of thought from the lower vibratory level in the physical. 3. The soul is the permanent record keeper of the evolutionary journey it has taken for the spirit to eventually go forward and become that pure energy and be at one with ALL THAT IS. This is the soul spirit connection that allows the spirit to connect to the physical realms via the soul aspect, but it goes further than that. Now we bring in the third of The Four Quadrants of life, “The mind”. Firstly the mind is not the brain and it’s still amazing that there are many who still believe that the mind is the brain. The brain is the physical organ within, the physical body. Yes, it is amazing with what the brain can do and is one of the most complex aspects of any living organ. The brain creates via its neurons an entire amazing network and creates a pathway of links so that when something occurs regardless of what it is. The physical senses are activated and a chain of reactions occurs that enable it to send signals to the various parts of the body. During this moment, the mind records the memory as the brain does its fantastic work. But the brain is not the mind. 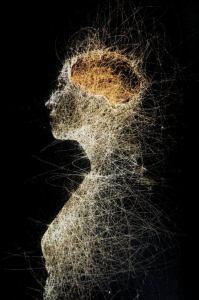 Here within the physical, the mind is also a fragment of the soul which activates the mind soul connection to life. As the soul is the connection with spirit, so too is the mind of the soul. Only the fragments of the soul (the mind) are within the physical, the soul must remain mostly within the spiritual realms as explained earlier. The departure of the mind. When the physical body ceases to be so too does the brain but not the mind. As you go through and read about the four quadrants you will see the development from the beginning. Where spirit, is the fragment of the Godhead; Soul is the fragment of the spirit (which is required to connect the spiritual with the physical). The mind is a fragment of the soul but only during the lifetime of the current incarnation. When the physical body is no longer required, the mind blends once more with the soul along with all the memories and experiences. This also includes sadness, happiness, and all forms of pain, both felt and given to others, all positive and negative situations. Everything that has occurred is an experience which is recorded into the deep recess of the soul. When the next incarnation occurs the mind once more becomes that fragment of the soul. Again it becomes part of the physical that will once more add new chapters to its life experiences for the soul to record on behalf of the spirit moving along its journey to enlightenment. Remember the soul is the record keeper of all that has occurred not the brain. This is the mind soul connection of life and its life’s experiences over the many incarnations the soul has endured and experience. When the soul incarnates within a new life form to connect spirit to the physical the mind is cleared of most of its past memories. Yet some are retained not always known as the human form develop in life but it is there ready to be accessed at the right moment in time. This also explains many forms of memories of past lives either via meditations, hypnosis, and regression therapy and so on. This I believe is for one reason only. The journey of the spirit is to experience the way of truth and love of which is part of the Godhead from whence it came. To do this certain experiences may be needed to either relearn properly and resolved. Ever wonder why you keep going through the same old issues over and over again? Perhaps you haven’t resolved the issue, either in the current life experience or from the past incarnation(s) and it will repeat itself until your ego mind has learned to ways of truth and love. Only then will you move forward from that experience. While other experiences may need to occur again to assist not only its own journey in life but also act as a conduit to other souls in order to help them learn their lessons in life. This is why you may feel that you know that strange person for one reason or another, but you just can’t explain why they seem to close to you. Some may not be liked due to the emotions and ego of the human being. Some may be in the form of tragedies, early departures, particularly in early lives. But there is always a reason many of which as humans we cannot fathom to understand why. For some, this may feel bad but this is because there is some unresolved issue that has been worked out and again it needs to be dealt with for the spirit to go forward. There are many other reasons of which will be discussed in other issues. Due to the differences, the vibratory frequencies have with the physical self and spiritual self, there is also a difference between the true self and false self. The false self we know as the Ego while the true self is known as the soul. There is also that question of what you are hearing in your mind. Is it actually from the mind itself or guidance from the soul? As you go through the following image on the Ego vs the Soul you will see that many of the negative aspects come from the mind. This is the Ego-self and is ruled by dominant forces of negative attitudes that give rise and presents itself towards the mind. Many of these we will discuss further in detail, on how to improve and develop ways to overcome the Ego. On the flip side, the positive aspects arrive from the soul. This is because the soul is not corrupted or influenced by the lower physical negative traits. You can refer to the no 2 point above on the three main reasons why this is so. As a person decides to improve current life experiences, so does your life experience go forwards towards truth and love which is the essence of ALL THAT IS. But that journey begins with you. This is dependent on whether you allow the thoughts of the mind (Ego) to either manipulate you or listen to the soul in helping you to re-align yourself with the spirit, soul, mind, and body. Next, we will discuss the final of The Four Quadrants “The Body” that will complete the cycle between the spiritual to the physical. This fourth quadrant can be affected greatly by the actions taken by the mind and soul.